1. Good mentors are unwavering. We had a really spectacular youth ministry and a really spectacular college ministry. In fact, when I lead communities now, I’m often thinking about what I learned about community in that college ministry. Darrell Neal was the elder from our congregation that was appointed to oversee ministries with young people. Darrell was around often, encouraged us in life transitions, and was always centered when one person or another tended to some version of religious oddity. The most important thing I learned from Darrell was after our congregation went into absolute turmoil. I won’t go into details, but our really healthy church experienced a crazy upheaval. People were leaving the church, hurting one another, and vying for power. Darrell refused to participate in the craziness and simply stood as a steady force in the storm. He eventually did leave our congregation (just as I did a while later), but even then he did so with respect, grace, and without malice. Darrell’s unwavering maturity taught me to stand in the gap when life and ministry are difficult. My family and my churches have reaped the benefits from his steady leadership. 2. Good mentors can get out of their own way. I suppose that all of us have had mentors and leaders from whom we learned over time that their mentoring wasn’t really about us. Mark and Rose Diekevers taught me that the best mentors have the self-confidence that the relationship is not about filling a need they have to be important, needed, or in authority. When we started a small ministry for young adults out of the remnants of our former college ministry, Mark and Rose opened their home week after week to us. Never once did they try to take the teaching and leadership away from the young leadership team. When asked, they responded with advice that was never motivated by their own desires. When I returned to college after a break of several years away, they gave me the largest financial gift I had received from anyone at that point in my life. For a number of reasons, financial aid was not going to make ends meet that first semester before it would ratchet up the next semester. They filled a gap. No one knew that they were doing it but me and a couple close friends. They didn’t need to be recognized for the great ministry that they did in those years with me and the young adults in that group. I have experienced mentors that were filling their own needs by “discipling” me. But I learned from Mark and Rose that the best mentors are ones that can get out of their own way to serve another. Bob Vanderburg taught me that we also need mentors to challenge us consistently. I worked for Bob as I was making my way through college (and by “worked” I mean that we went to the job site each day and talked about life, God, and ministry). Bob is a smart man and has an opinion on everything. As we “worked” and talked, he would push against my ideas for ministry and my theology. He never withdrew friendship because of our disagreements. He never tried to manipulate me. He just gently disagreed with me and forced me to articulate myself more clearly. In many ways, my formation as a theologian began in these discussions. Similarly, when I went to seminary my friend Robert Lowery began to challenge me and force me to think more clearly. A safe place to be challenged, debate, and even argue is the best way to learn to think clearly. This kind of critical thinking and articulation rarely happens in a classroom where the professor does most of the talking. Instead, it is often a good mentor that is able to challenge us gently and force us to articulate our vision. I’d love to hear from you in the comments. 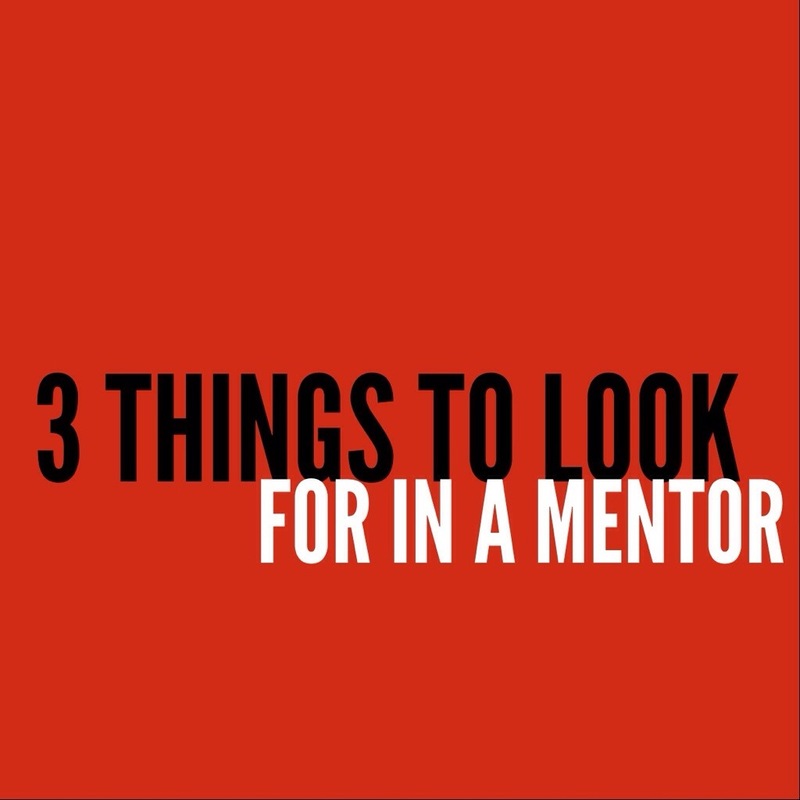 What are the traits that you look for in a mentor? Who are some of the mentors that have taught you the most? This post was republished on the Harvest 365 blog of Global University. Thanks for sharing! I appreciate reading this. I think another huge quality of a good mentor is that they are approachable, particularly after you screw up. Being able to go some one and be challenged without necessarily be shamed is a powerful quality. Inspiring mentor. Make you feel wanting all the time and you crave for more, new thing, ideas, knowledge and many more to be added to you’re nut shell. Even he talks the whole hour you never get bored.